“Chhattisgarh! Where exactly is that?” This is one of the most common questions I get from people when I tell them that I love Chhattisgarh and I keep going back there. And, I am not surprised! This is the problem – people hardly know anything about Chhattisgarh; they hear about Chhattisgarh once in a while on national media mostly for all wrong reasons. 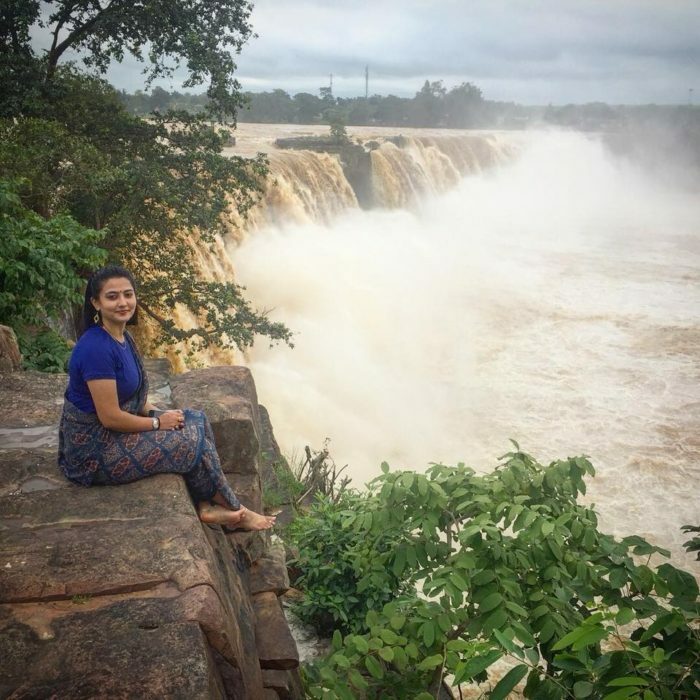 So, here I am sharing with you five main reasons why you should travel to Chhattisgarh right now! Who doesn’t enjoy being in the lap of nature. I am a sucker of natural beauty and there is nothing more beautiful and soothing to me than being surrounded by natural greenery. The earth’s green cover is not only a stress-buster, but it heals my mind, body and soul. 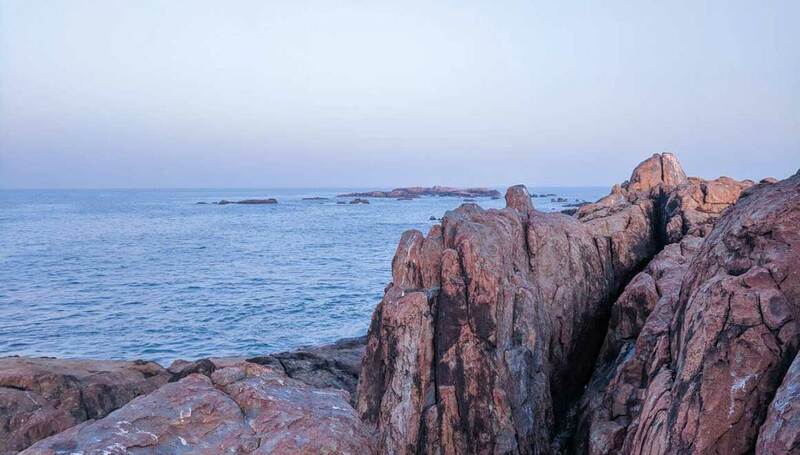 Chhattisgarh is nature lovers’ paradise. You might be surprised to know that, the India State of Forest Report 2017 ranked Chhattisgarh third in the country in terms of forested area, with forest cover of 55,547 sq. km. Almost, 44% of the State’s geographical area is forest and tree cover, majority of which is in Southern Chhattisgarh. So, its green cover is actually one of the reasons why you should travel to Chhattisgarh. 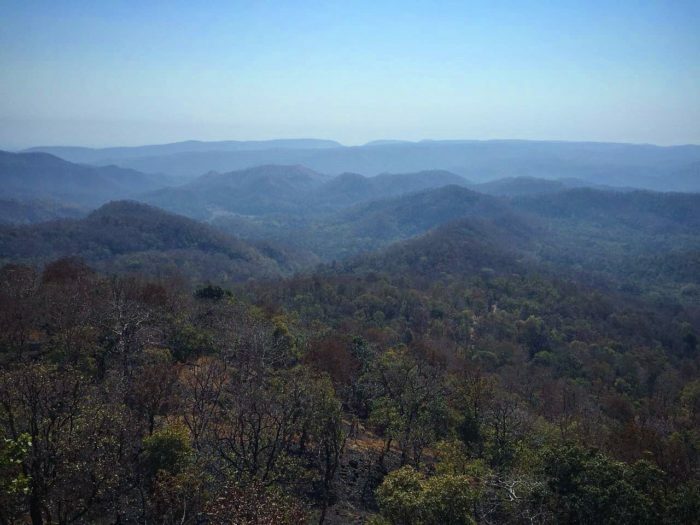 Endless valley view at Peedaghat Watch Tower, Kabirdham District, Chhattisgarh. Chhattisgarh has incredibly rich biodiversity and is blessed with some of the rare wildlife species like Wild Buffaloes and Hill Myna (known for imitating human voice). It has three national parks, eleven wildlife sanctuaries, and one crocodile park; out of these, Kanger Valley National Park really stands out. 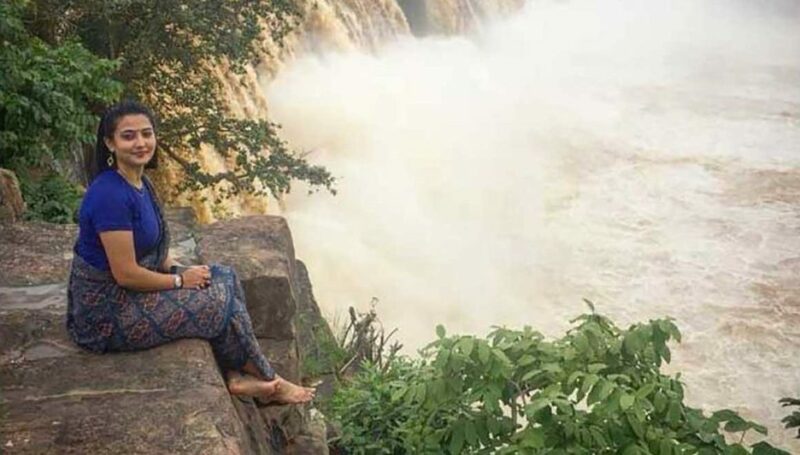 Other environmentally unique features of Chhattisgarh include India’s ancient caves like Kailash Caves, Kutumsar Caves, Dandak Caves, etc; breathtaking waterfalls like Chitrakote waterfall (the widest waterfall in India), Tirathgarh waterfalls (a combination of total seven waterfalls), etc. Trekking is one of the best ways to explore and soak in the raw natural beauty of this State. Of all the treks, my favorite trek is the Dholkal trek. It is roughly 4-5 km one-way trek in Dantewada district. 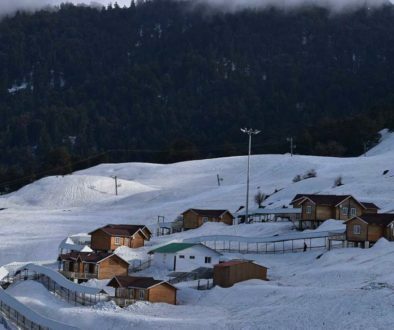 You should not miss this trek at any cost. I will share more details about this trek in a separate blog post. Chitrakote Waterfall, a.k.a. the Niagara of India, is the most famous waterfall of Chhattisgarh. It is really disheartening to see that it is mostly the foreigners who show interest in knowing about the indigenous tribes of India; whereas, we, the mainstream Indians, hardly know anything about such tribes, which have existed in our society from the Harappan times. We carry our own prejudices and assumptions, which mostly are wrong, about them. As a child, I hated history classes because I never really understood its practical utility. But, as I matured with time, I fell in love with history. It is only when you are aware about your past that you can make a better future. And, knowing about our indigenous tribes is one of the ways to better understand our people and work towards their upliftment. Chhattisgarh has one of the highest tribal population in India, which makes it an ideal destination to know about the tribals and experience the rich tribal culture first hand. So, tribal culture of the State is one of the main reasons why you should travel to Chhattisgarh. Tribal dance during the grand procession on the occasion of Fagun Mandai at Dantewada. The main tribes that live in Chhattisgarh are Gonds, Bison Horn Marias, Abhuj Marias, Murias, Halbas, Korvas, Kamars, Baigas, Dhurvas and Bhatras. Because of inaccessibility to the interior regions where these tribes mainly inhibit, urbanization has not yet taken place here. Due to this, a visit to the rural areas of Chhattisgarh and quality time spent with these indigenous tribes will be the most culturally immersive experience you will ever have. The best time to experience the tribal rituals, culture and way of life is during their festivals like Hareli, Goncha, Fagun Mandai, etc. In fact, the biggest and the most famous festival, which is of prime importance here, is the Bastar Dussehra. It is the longest festival of the world which extends to 75 days. As we are aware Dussehra is celebrated as victory of Lord Ram over Ravana, however, in Chhattisgarh, the importance, rituals and ceremonies of Dussehra are totally different. 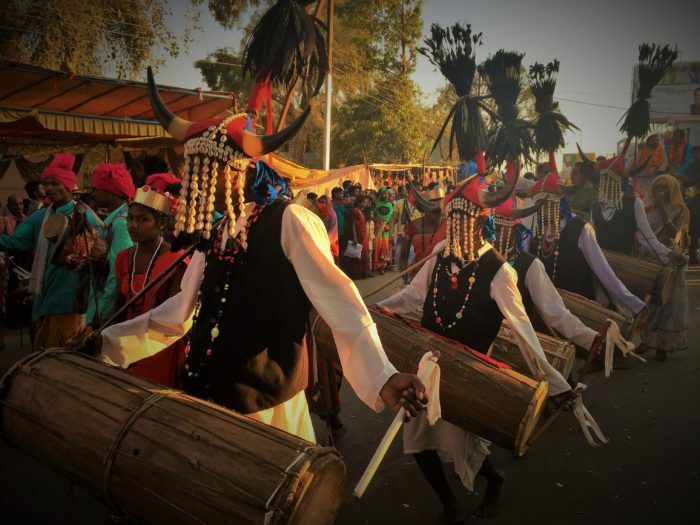 In fact, Bastar Dussehra is one of the main reasons why you should travel to Chhattisgarh. I will share a separate blog post giving more details about Bastar Dussehra. 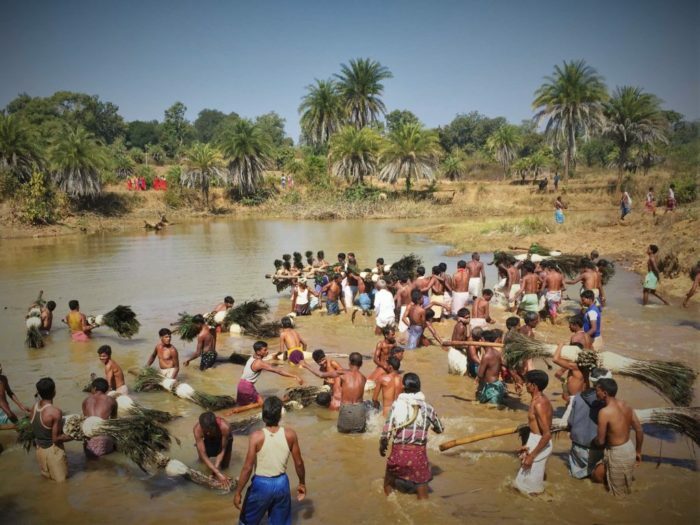 One of the ceremonies during the tribal festival, Ghotpal Mandai, at Ghotpal, near Dantewada. With huge proportion of tribal population, Chhattisgarh boasts of several art and handicrafts which are integral part of the State. Each tribe has their own art forms, which include various dance forms and songs. These can be experienced in full glory during various tribal festivals, when the entire community participates in the full day-night extravaganza. As for handicrafts, some of the specialities of Chhattisgarh are complicated wood carvings, bamboo work, bell metal handicrafts (Dhokra art), iron craft, terracotta figures, tribal jewellery and paintings. Dhokra metal casting is actually one of the oldest techniques that is still surviving in Chhattisgarh. In fact, the main handloom industry in Chhattisgarh, Kosa silk (also known as Tussar silk), is famous around the world for its quality. You can witness preparation of these handicrafts and handloom from scratch. So, if you are art and craft lover, the traditional handicrafts of Chhattisgarh are one of the many reasons why you should travel to Chhattisgarh. 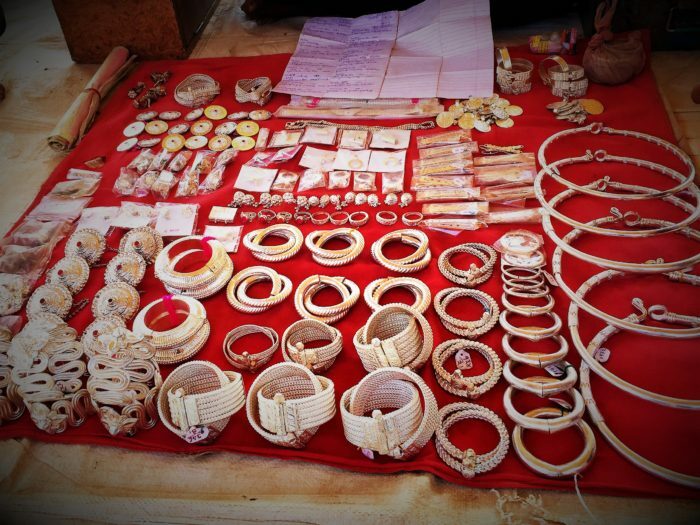 Silver tribal jewellery at one of the weekly markets in Kabirdham district, Chhattisgarh. Although the majority of population in Chhattisgarh is Hindu, Chhattisgarh is a potpourri of many religions and cultures. 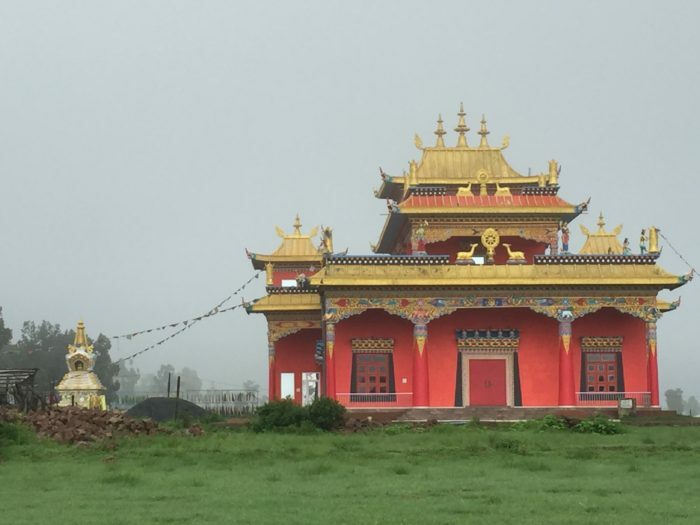 So, even if you are not a religious person (I am neither religious nor atheist) you must visit Chattisgarh to soak in this magnificent aura of religious diversity. In ancient times, Chhattisgarh was part of Dakshina Kosala and finds mention in Ramayana as Dandakaranya. It is believed that Lord Rama stayed in several parts of Chhattisgarh during his exile days; which makes it extremely significant to Hindus. One of the ceremonies during Fagun Mandai festival at Maa Danteshwari temple, Dantewada, Chhattisgarh. 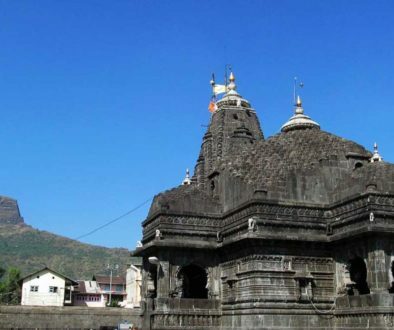 The major Hindu temples and holy places include Devi Danteshwari temple at Dantewada (one of the 52 Shakti Peeths), Maa Bamleshwari Devi temple at Dongargarh, Mahamaya Devi temple at Ratanpur, Bhoramdev Temple at Kawardha, temples at Rajim (also known as Prayaga of Chhattisgarh), etc. 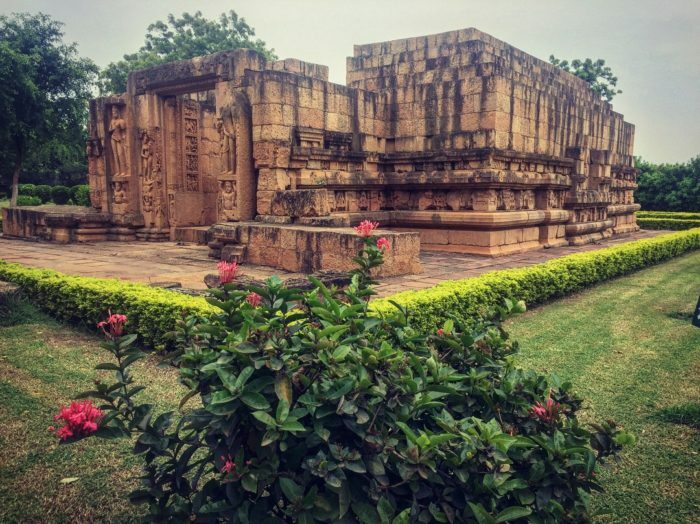 Another important religious attraction is Sirpur which has archaeological remains associated with Shaiva, Vaishnava, Buddhist and Jain faiths. There are several temples and Buddhists monastaries in Sirpur. Even the great spiritual leader Dalai Lama did not miss to visit Sirpur during his Chhattisgarh visit in 2013. The most famous Buddhist Monastery at Mainpat a.k.a. Mini Tibet of Chhattisgarh. And with the rising Christian population, Chhattisgarh also has Asia’s second largest Catholic church, the Cathedral of Our Lady of the Rosary, at Kunkuri in Jashpur district. 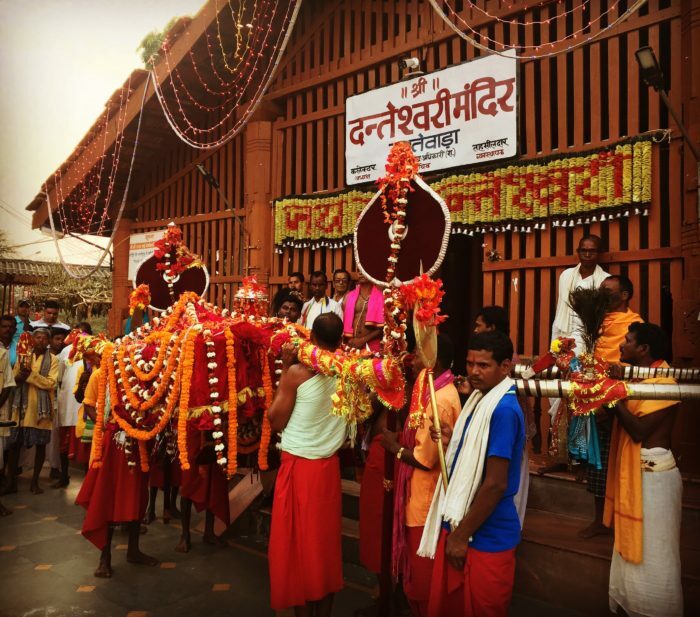 These religious epicentres provide one of the reasons why you should travel to Chhattisgarh. The best time to visit these religious sites is during the associated famous festivals, like Sirpur festival, Bhoramdev Mahotsav, and various Devi temples especially during Navratri. Bhima Kichak Temple, Malhar, is one of the important archaeological sites in Chhattisgarh. 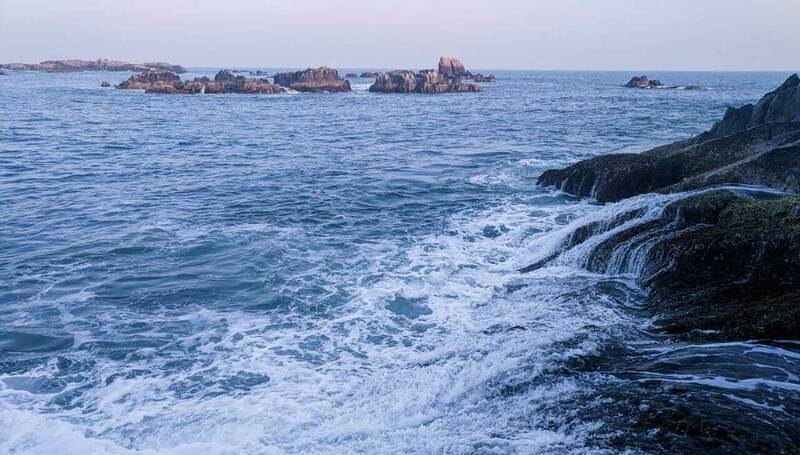 Chhattisgarh is one of the most unexplored, underrated, unadulterated, untouched and raw States in the country; and this itself should be one of the major reasons why you should travel to Chhattisgarh. It has a lot of potential in terms of eco-ethno tourism. 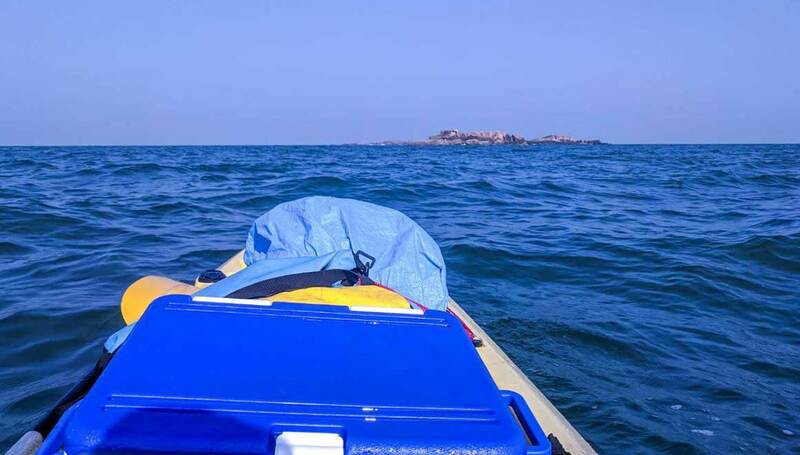 It is an ideal destination for adventure seekers and explorers. Because of various misconceptions and myths about the State, not many people have yet explored the region; and those who have, never went back disappointed. Hospitality, especially by tribals, is one of the best experiences you can have in Chhattisgarh. The people here are very simple and accept the tourists with open arms. In fact, it is extremely difficult to find corruption, greed and commercialization here. 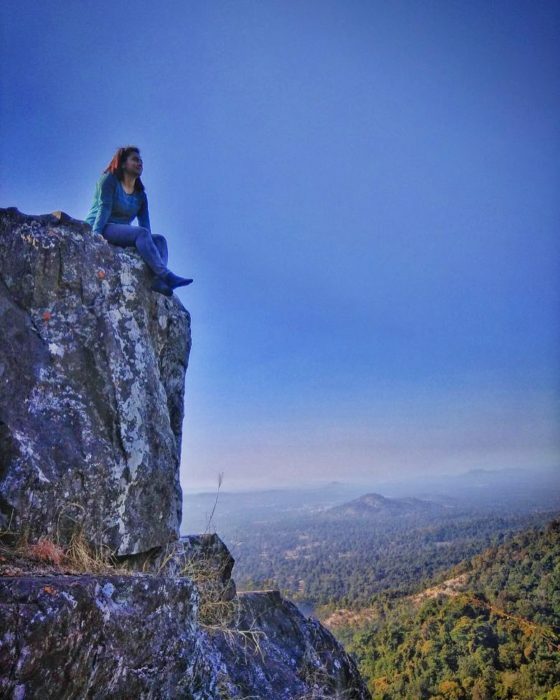 Soaking the beauty of the landscape at Dholkal Peak, Dantewada district, Chhattisgarh. Still want more reasons why you should travel to Chhattisgarh? Just go there! Once you visit Chhattisgarh you will understand why the tagline chosen by the Chhattisgarh Tourism Board, “Chhattisgarh – Full of Surprises”, is so apt. If you are planning to visit Chhattisgarh, I would highly recommend Unexplored Bastar for all your travel needs. 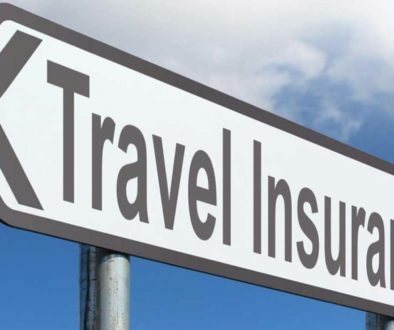 The best part of this well recognized travel start-up is that it focuses on sustainable tourism through community-based approach; this means that one of the main beneficiaries of this organization is the local tribal communities. 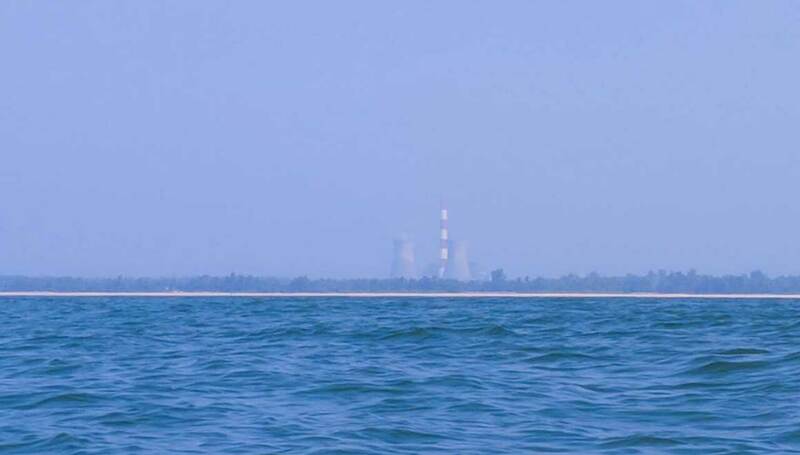 TIP: The best time to visit Chhattisgarh is from September to March. During this time, not only the weather is comfortable, but most of the festivals are also celebrated. In case you want to explore Chhattisgarh on your own and at your own pace, do check my Solo Travel Series. Does Chhattisgarh feature in your travel list? Have you ever been to Chhattisgarh? If yes, how was your experience? Let me know in comments below. This blog is written by Mayuri Singh Sengar. She is married solo female traveler from India. After spending eight years as a legal advisor in the electricity sector, She bid adieu to her full-time corporate career and happily embraced the adventurous ride of a freelancer. Since then She ticked off many items from her bucket list – from finishing an Ironman 70.3 triathlon to six months of a solo backpacking trip to South East Asia. She has a never-ending affair with adventure sports, mountains, outdoor life, and sarees. She has come a long way since She dared to live her life beyond the usual, and now She shares her experiences to inspire you to get out of your comfort zone and explore life. Hop on and enjoy the ride!